Our temple has its origins in Sungai Tepi, Kota Bahru, Kelantan, Malaysia. A branch temple was set up in New Pasir Puteh, Ipoh, Perak, Malaysia in the 1970s at a rented house. Meanwhile, Persatuan Penganut-Penganut KEW ONG TAI TAY (Reg. No. 2317/85 PK) was registered with the Registrar of Societies, Malaysia in 1985.
to manage the day-to-day running of the Temple for a two-year period and can be reelected for another two-year term. Any person of Taoist faith can become a member of the Association, Persatuan Penganut-Penganut KEW ONG TAI TAY, by filling up a standard application form with MYR12/- (Malaysian Ringgit twelve only) annual subscription fee and can be elected to the Association Committee to jointly manage the temple. Unfortunately, a fire razed our temple in New Pasir Puteh, Ipoh, to the ground in the 1990s. In 1998, we shifted to our present premises after it was purchased and temporarily converted into a Temple (Lot No. 201210 marked red). Since then, we have purchased the adjoining housing lot and built it into a Hall (Lot No. 201209 marked red). We also subsequently purchased a vacant housing lot opposite our temple (Lot No. 201243 marked red). 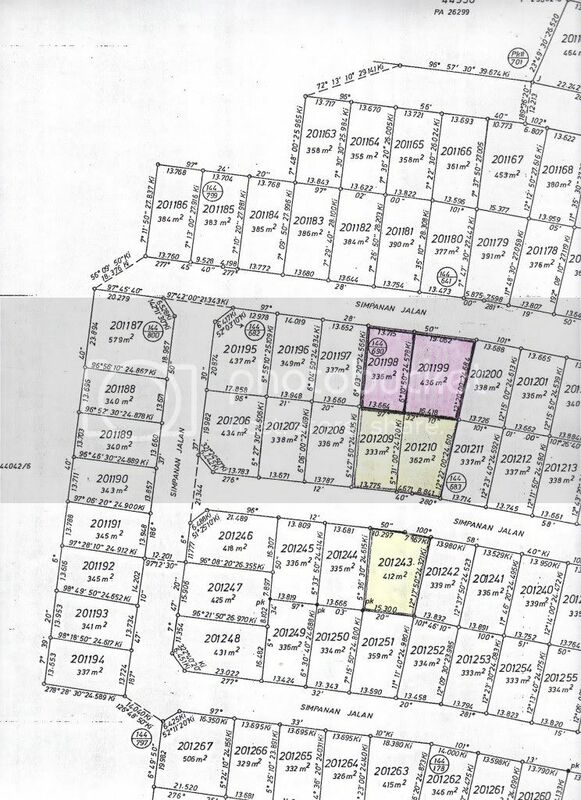 At the moment, we are trying to raise funds to purchase another two more housing lots (Lot No. 201198 & No. 201199 marked blue) to add to the one we have purchased and combine the four housing lots to build a new and larger Temple because of space constraints. View sitemap (link opens in a new window). It is estimated to cost approximately one million Malaysian Ringgit to realize our dream. We are now appealing to kind donors and sponsors for funds to help us turn our dream into reality. Kindly donate generously towards a worthy cause; i.e. to propagate Taoism and Chinese culture to the future generation and at the same time, reach out to people who are less fortunate. We thank you in advance for your kind generosity. 现在，我们正在奏款来购买另外2间房屋地(Lot No. 201198 和 Lot No.201199蓝色) 来建立本庙，并期望运用4间房屋地来重新建立更大的一间的庙堂。参考 View sitemap (连接另外一个新窗).